Before getting started, I highly recommend turning on the location permissions for your photos on your smartphone. With this feature turned on you’ll be able to check back for the lat-long after leaving the area and not have to guesstimate your location. 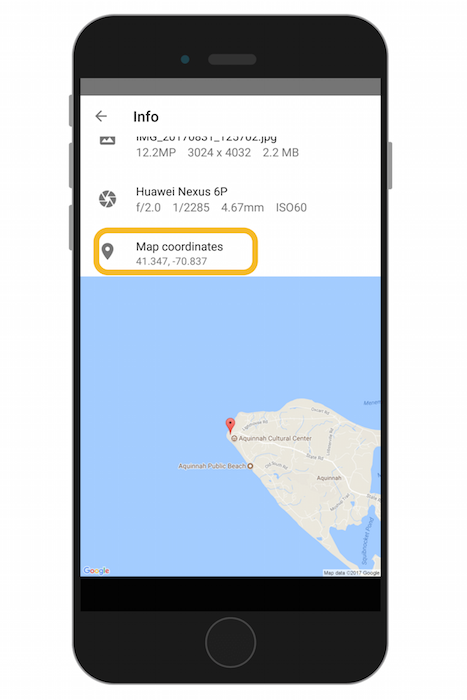 If your photos have location permission then you can pull the coordinates (latitude and longitude) from any photo to submit an accurate Water Reporter report at your convenience. The information attached to every photo includes map coordinates and a map confirming the location. This is all the information that you’ll need to submit your Water Reporter post. The Info section of every photo you take will include location details that can be used to submit your report at anytime, as long as you have turned on your location services. 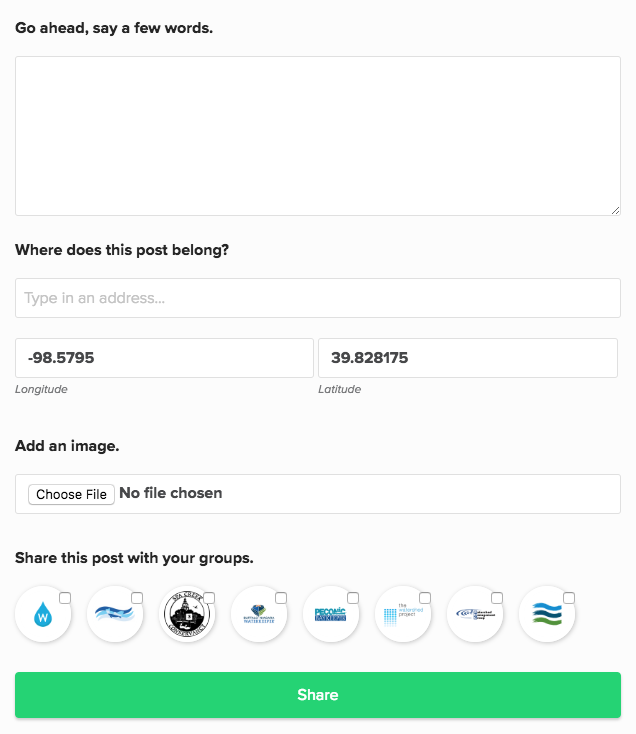 After logging in to your personal Water Reporter account at waterreporter.org, choose to “Share a Post”. You'll see an interactive map and fields to complete your post. Go ahead, say a few words. You can add in comments, just as you would from your Android or iOS device. Where does this post belong? Type out an address or specific latitude and longitude coordinates to submit a report. Add an image. Choose your image to upload. Share this post with your groups. Choose which of your groups you'd like to share the post with. Here's the catch, when you upload a photo via the website, you cannot yet add your report to an existing Campaign and enter relevant custom form data associated with a Campaign.